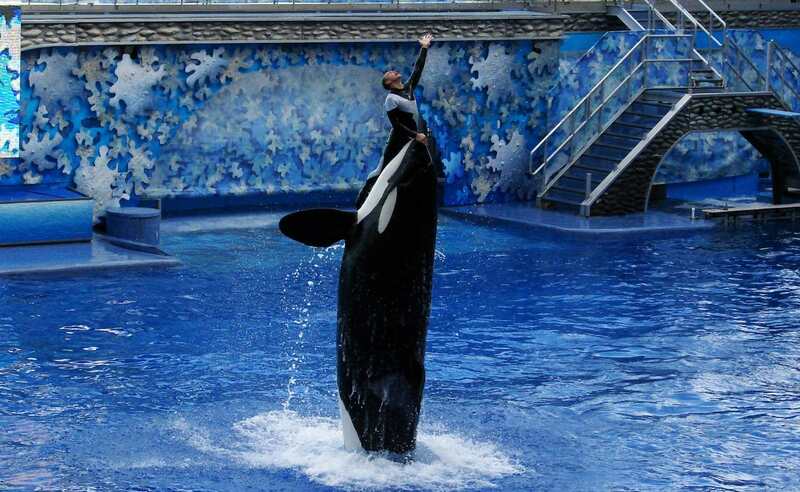 A major motoring club has stopped selling tickets to SeaWorld - winning praise from animal rights campaigners. AAA Arizona has joined its Washington counterpart in ditching the marine park. The decision follows vegan charity PETA posting a billboard in Phoenix urging AAA to end its promotions of the park. "After evaluating trends in member sales, we've decided to discontinue SeaWorld tickets later this fall," an AAA Arizona spokesperson told KTAR News. "These changes not only reflect member interest and demand, but ensure consistency across the nearly 6 million AAA members we serve across seven western states." "PETA is so pleased that AAA Arizona hit the brakes on its ticket sales to SeaWorld, where naturally ocean-dwelling orcas are serving a life sentence in tiny tanks, where they’re denied everything that’s natural and important to them," PETA Executive Vice President Tracy Reiman said in a press release. "Decent companies don't want their names attached to an operation built on exploiting marine mammals, and now, it's time that AAA National and other offices follow suit." The charity added that 'numerous organizations and companies - including the Miami Dolphins, STA Travel, Taco Bell, and JetBlue, Southwest, and United airlines - have ended their affiliations with SeaWorld'.